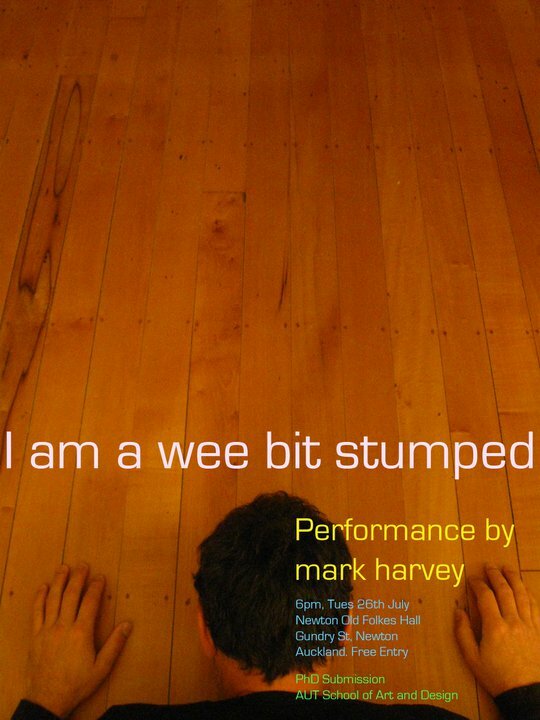 “I am a wee bit Stumped” features Mark Harvey at 6pm next Tuesday 26th July, at the Old Folks Association Hall, Newton. Showcasing six performance art works, the show is Mark’s final PhD performance. Come and enjoy fine company, food and drink and of course, Mark. Entry is free so come early. Next Next post: Is this how it goes?